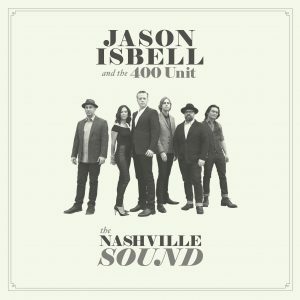 This week the Country Music Association revealed it’s 2017 nominees, and the list featured the biggest surprise in recent awards show history: Jason Isbell (and his band, the 400 Unit) snagged an Album of the Year nomination for The Nashville Sound. Not only is the moment a milestone in Isbell’s illustrious career, but perhaps also a turning point for the country music industry as a whole. After two award cycles largely dominated by Chris Stapleton, the CMAs took it one step further in not only putting up Stapleton for three major awards (Male Vocalist, Entertainer, and Album), but nominating a less mainstream contemporary in Isbell. The fact that this comes on the heels of Stapleton perhaps only increases its significance, in proving that his success was not a one-off, but rather indicative of a larger trend. In a sense, Isbell’s inclusion may loom larger than Stapleton’s in 2015 – where Stapleton had become a respected songwriter in Nashville circles, composing tunes for widely known artists, Isbell has built a following almost entirely off of a grassroots following. Beyond what this means relative to the quality of music promoted at the mainstream award shows, the nomination of Isbell also represents a further entrenchment of the CMAs as the more quality-based program. While general sentiment has always favored the CMAs to the ACMs in terms of recognizing artistic accomplishment, in recent years, the gap appears to have widened. 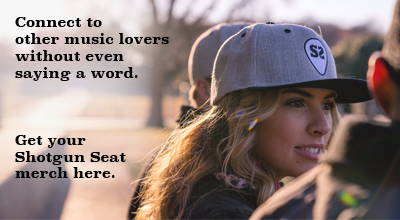 With The Nashville Sound‘s presence, as well as the omission of the likes of Jason Aldean and Blake Shelton in other categories, they set themselves up as the perceived champion of “real country” in the eyes of many. Of course, one must also consider the impact this nomination could do for Isbell’s career, and his reception at country radio. While a win appears unlikely, the publicity from his mere inclusion in the category could have massive results. It has yet to be seen whether the 38-year-old will perform at, or even attend the show, but the CMA Awards are a major platform that will undoubtedly serve as a major pivot in the talented songwriter’s career. Whether or not Isbell wins remains to be seen, and it would be unreasonable to expect such a result. However, as we approach the two year anniversary of “Stapletonmania,” the country music scene finds itself at a potentially major turning point. Some of have become cynical towards the awards show industry, but their impact cannot be denied, and to have Jason Isbell’s name among A-list acts is something that could have major ramifications.